The cover for “Gods” has been finalized! 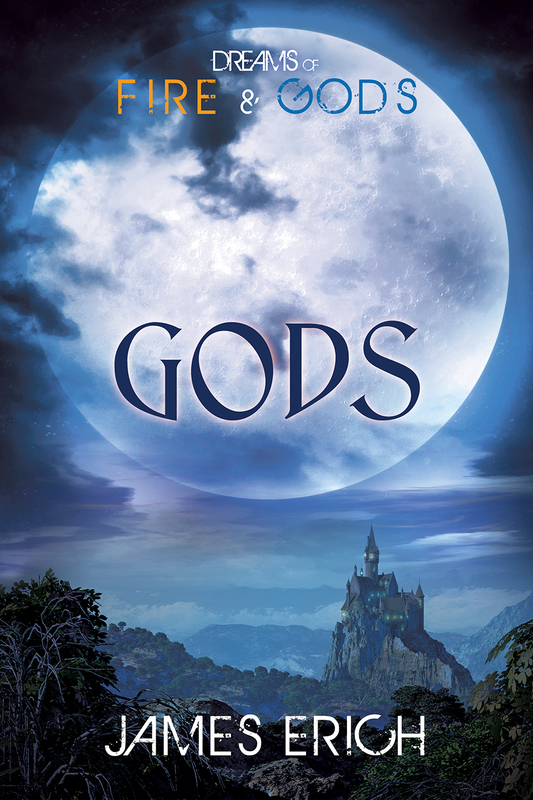 Here is the cover for my new YA fantasy novel, Gods, designed by the fabulous cover artist, Paul Richmond! (Paul designed the first two in the trilogy, as well.) 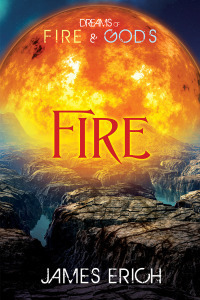 This is the third and final installment in the Dreams of Fire and Gods trilogy. One of the things that jumps out immediately, if you’ve seen the first two covers in the series, is how misty and blue it looks, compared to the others. That’s because the valley of Harleh, in which much of the story takes place, is enveloped in a mysterious bluish cloud cover. The novel is scheduled for release on October 17th! I also have a chat scheduled for that day. I’ll post about that again when it rolls around. Book three of the “Dreams of Fire and Gods” trilogy is in final edits! Or perhaps you’d say it’s done with the final edits. I turned my last edits in yesterday, so all that remains is for Dreamspinner to put together the galley proof and me to go over it. Then it will be done! Look for a release date in about six weeks (mid October)! I’m very excited about this! The trilogy ended with a much bigger bang than I could have anticipated when I began writing Dreams two years ago. Each subsequent book expands upon the one before, adding more viewpoint characters (this one has four — I didn’t go completely insane) from different areas of the culture in the Kingdom of Dasak, so we now see what life is like for nobles (represented by Sael), peasants (Koreh), assassins (Donegh), and priests (Gonim). We also finally talk directly with the gods (the Stronni and the Taaweh) and learn more about what motivates them and where they live. We see the Great Hall! We get more detail about life in the city of Harleh and we finally meet the emperor in the imperial palace!